Fill out the form below to instantly receive a free Pricing training package via automated email. Your complimentary training package will include training videos, how-to guides, industry research and much more! Make happy customers and coworkers, while generating more freedom, more money, personal fulfillment and a comfortable retirement. 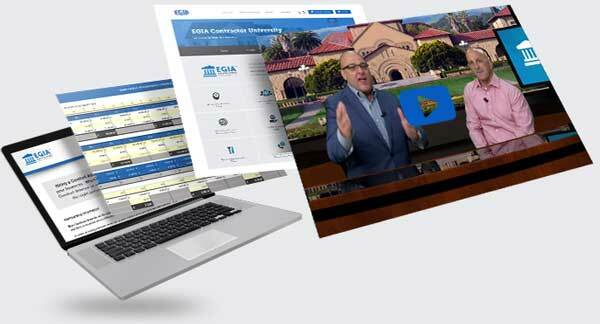 Through EGIA Contractor University, you can now leverage a comprehensive blend of powerful classroom instruction and convenient online training systems that deliver proven roadmaps to success from the most accomplished team of educators, consultants and trainers ever assembled in the industry. From pricing and sales to operations and marketing – and everything in between – EGIA Contractor University is here to help your business thrive so that you can enjoy the life you’ve dreamed of.